Guitar players rule the rock universe. This unique custom designed guitar t-shirt celebrates one of the most famous in history – Jimmy Page and his famous Gibson double neck electric. Makes a superb gift for any guitar aficionado. 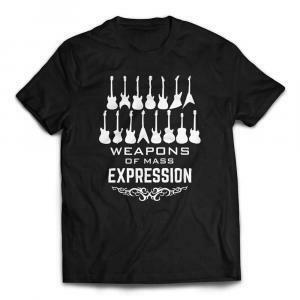 Love Gibson SG guitars? 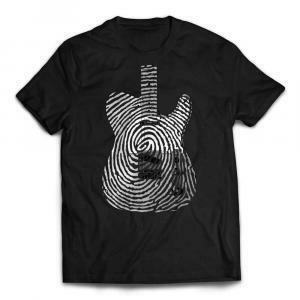 Then you’ll love this awesome custom designed guitar t-shirt celebrating one of the finest guitar shapes associated with classic rock music. 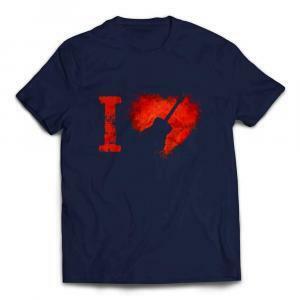 Makes a perfect gift for AC DC guitar fans! 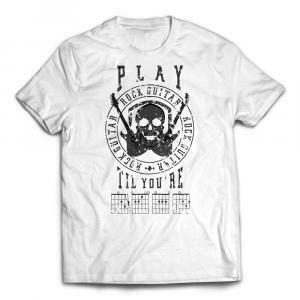 Imagine a world without guitar – no thank you. 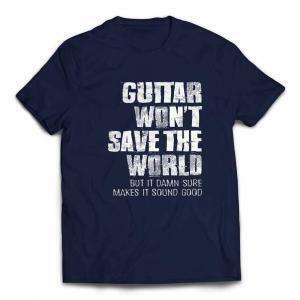 Our planet is much better off with guitar in it’s musical voice. From Rock to reggae, classical to punk, it has it’s place. 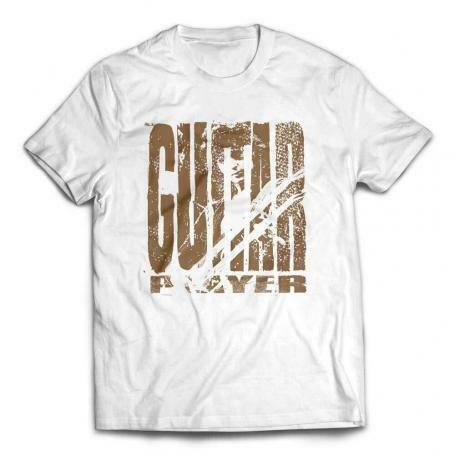 Maybe guitar won’t save the world today, but we as guitar players have plenty of time to try. 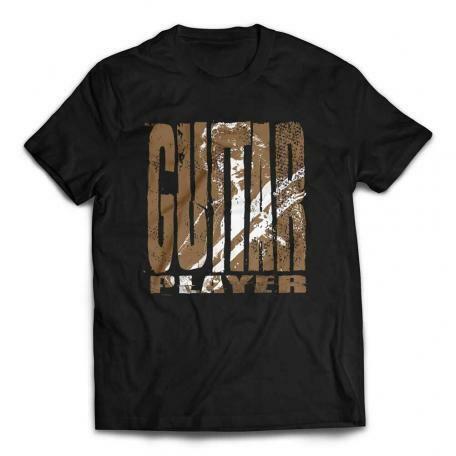 One of the best gifts for guitar players is a custom designed shirt that they can call their own.